Lately, I’ve been shooting more behind the scenes photos to show what goes on when the camera isn’t in my hand or just to how this photo was made. Mostly just snapshots using my iPhone by or just having the assistant or makeup artist grab a few shots for me. I thought I’d share the Process behind some of my latest photos using off-camera strobe lighting. First, when I say off camera I mean using a light source that is not attached to the top of the camera. Strobe meaning a flash lamp that produces high-intensity short-duration light. 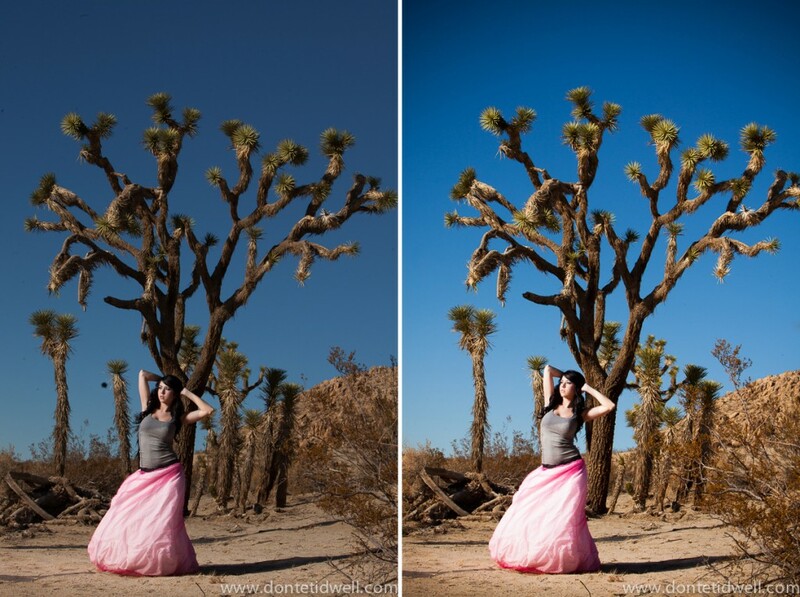 Both photos were taken using model Alexia and only ONE light. This first shot was from a previous shoot HP and the Big Pink Skirt, with Alexia and the Alienbee strobe. Start by metering the sky, by pointing the camera up towards the sky and getting the correct exposure to say like f/11 at 1/100 and ISO 100. That gives me correct exposure for a nice blue sky. I’d then set my camera so it is at -1. That might be like f/14 or f/16 that give you a slightly darker view, more dramatic sky. That always looks great when there are clouds. I moved the light to block the sun out of Alexia’s face, that stopped her from squinting. This was a shot where the strobe did not fire. Here we used the same formula but with the Ranger Quadra system for our lights.